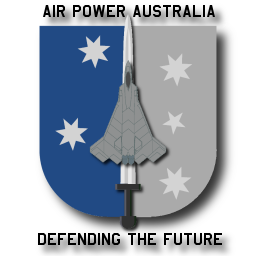 As a result of ongoing requests by media, public and others in the wider Defence community, APA has after careful consideration decided to make its recent submission to the Defence Minister, the Hon Joel Fitzgibbon, MP, on fighter replacement matters, available publicly. Letter to Defence Minister, Hon Joel Fitzgibbon, MP. Letters from independent reviewers of the Discussion Paper on Analysis entitled, “Strategic Needs and Force Structure Analysis: The Thinking Behind the F-22A and Evolved F-111 Force Mix Option”. Discussion Paper on Analysis entitled, “Strategic Needs and Force Structure Analysis: The Thinking Behind the F-22A and Evolved F-111 Force Mix Option”. All of these documents remain the intellectual property of their respective authors.